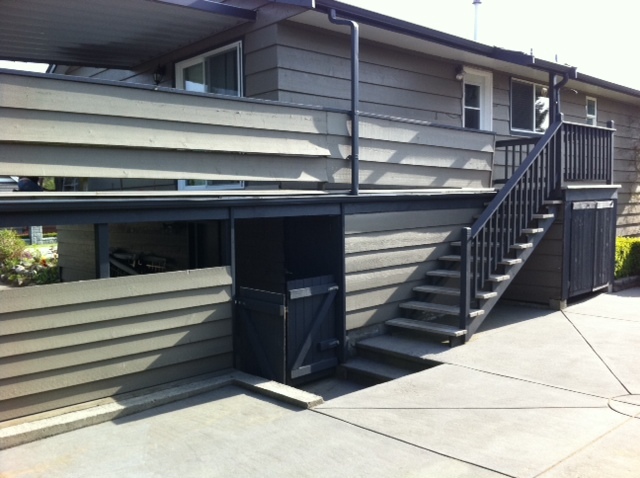 This customer had wooden panels wrapping around his deck for privacy. 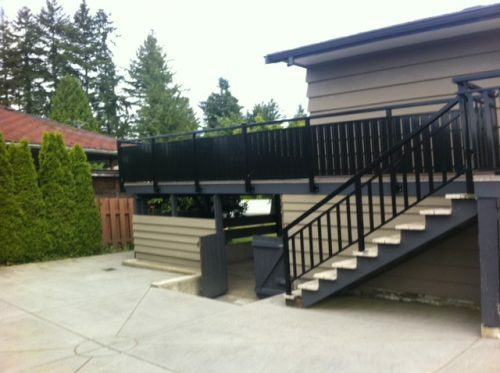 We needed to come up with a solution to keep provide this privacy without the upkeep of wood. 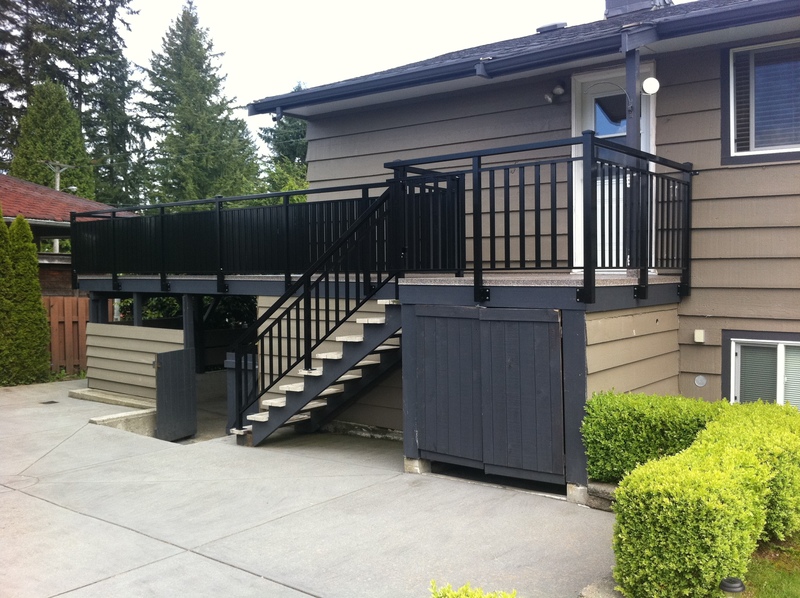 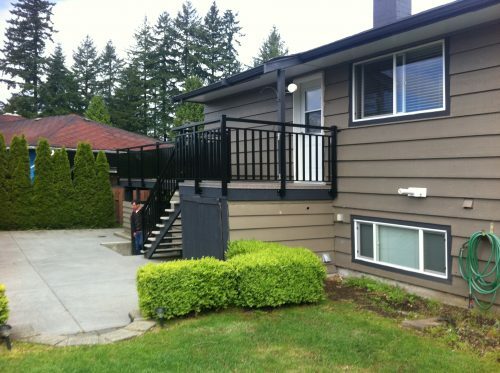 We accomplished this by installing fascia mount aluminum railings with wide aluminum panels.